When a bad bird goes good … and then bad again. « Nothing in Biology Makes Sense! As is alluded to in the species name, great spotted cuckoo nestlings produce secretions full of nasty compounds from their cloacas when threatened. Crow nestlings, on the other hand, do not. 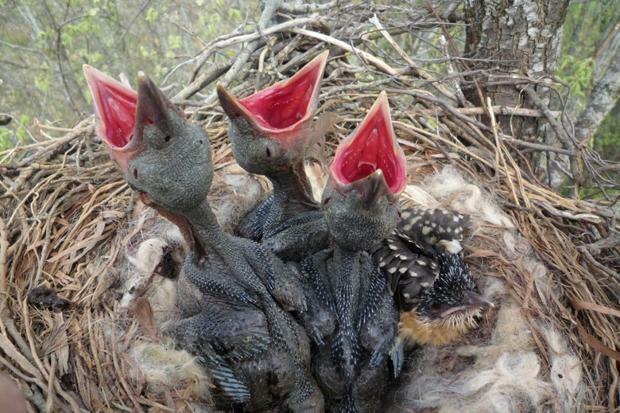 The authors hypothesized that the presence of a cuckoo nestling, and their gross secretions, may deter predators from chowing down on crow nests. 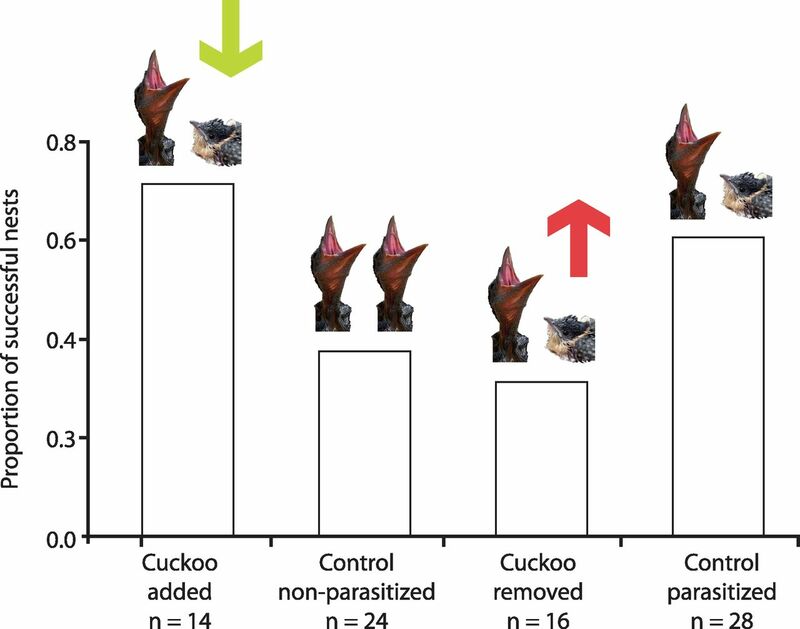 Consistent with this hypothesis, the authors observed that quasi-feral cats, crows, and raptors all avoided eating raw chicken that had been contaminated with cuckoo secretions (but happily fed on the uncontaminated chicken). However, the picture wasn’t all rosy. The authors also looked at long-term data to identify whether the same association between nest parasitism and successful fledging existed across years. Interestingly, they found that on average, parasitized nests had the same success rate as nests that contained only crow nestlings. The authors posited that this occurs due to differences in predation pressure from year to year. In years where predators are abundant, the great spotted cuckoos benefit the crows by protecting their nests. On the other hand, in years when nest predations is lower, the carrion crows suffer costs in fecundity due to their association with the great spotted cuckoo. Thus, the relationship between the giant spotted cuckoo and the carrion crow is complicated, sometimes mutualistic and sometimes parasitic. Overall, the fluctuations in predator abundance, and the accompanying change in the relationship between the two species, prevents consistent selection against brood parasitism in the carrion crow. This entry was posted in coevolution, natural history, natural selection, parasitism and tagged brood parasitism, crow, cuckoo. ← Want to see us in your Facebook News Feed? You should probably do this one weird thing. Very interesting, thanks. Why is it that crows are so much more common than cuckoos, do you know?